FLOWER PETAL BEADS MADE FROM YOUR FLOWERS. 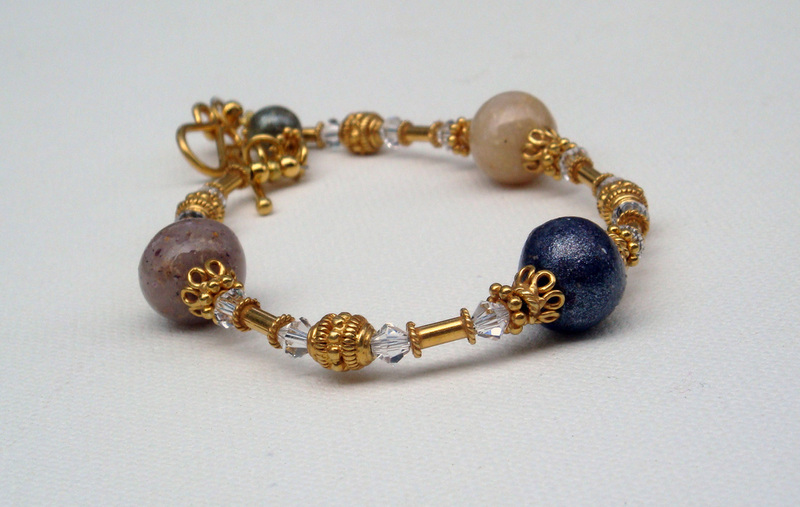 Flower petal beads are adorned with vermiel from Bali Beads in this 7.5" bracelet. Swarovski crystals made this beautiful bracelet a little more special.